The Timex T5K355 mens marathon watch has a stylish, sporty design and features a practical digital display with date function. 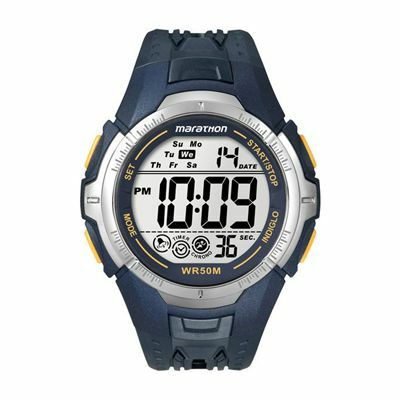 It offers a 24 hour chronograph, countdown timer, daily alarm and 2 time zone settings for added comfort while travelling. This functional watch is water resistant up to 50m and utilises the Indiglo light ensuring great vision in the dark. It has a rubber strap and plastic/resin case and comes with a 1 year warranty. for submitting product review about Timex T5K355 Mens Marathon Watch.